The trend as of late touted by marketing experts everywhere is “storytelling is the future.” It’s supported by the thought that the need for authenticity has been elevated due to the accessibility of information and connectivity on the web and the audiences need to feel emotionally engaged. I’m sorry, but the storytelling trend isn’t anything new or innovative. 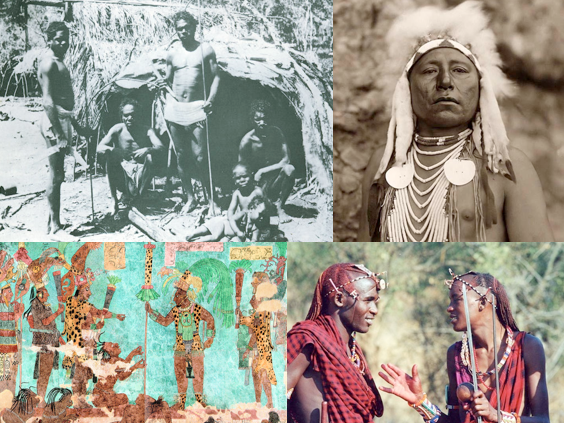 The Indigenous Australians, Native Americans, Incas, and Maasai also found storytelling extremely important. Actually, many historic cultures did. It’s called oral tradition; oral tradition has existed since the beginning of language. Songs, folk stories, chants, and cultural knowledge have crossed generations through oral tradition. People have always found stories important. Since the time of the Maasai, Caesar, to modern times, humans have always loved to connect with other people and share stories. The web’s accessibility has made it easy for us as institutions to be human and tangible, have personalities and voices, tell stronger stories, and connect people to the greater community and culture of the institution. When we look at storytelling as less of a marketing tool and more as a reality of human nature, our stories become much more engaging and the process of finding great stories to share becomes less daunting. I’m not sure entirely what you’re getting at here. So, storytelling ISN’T the new marketing hotness, just because it’s been around forever? So that excludes it from being named as a marketing strategy? Or do you mean we’ve always been doing it, but now we’re just better at it? Do you want people to stop doing it, or just stop treating it like it’s a new innovation? Based on the post title, your stance is either that it isn’t new (which I think is what you mean), or it’s not hotness. Regardless, I don’t get what the basic counterpoint is here. Your assertion is definitely correct that I am saying that storytelling isn’t anything new. My fault for not being really clear on exactly where I was going with that. I think in the marketing sphere people continually get bombarded with trends (social media, green, etc.) that everyone latches onto and often do not successfully execute or integrate those trends because 1. They don’t know why they’re doing it. 2. It’s a trend that doesn’t align or support their goals. That being said my basic contention of this post was to point to why storytelling works as well as why it has always worked. Communications shift, technologies change, but human nature does not. I think we agree that our world has become inundated with a tool oriented marketing mindset that forgets what marketing has always been about – human influence. That’s why I love that quote by Claude Hopkins. It always rings true! Thanks for the great question so I could clarify.